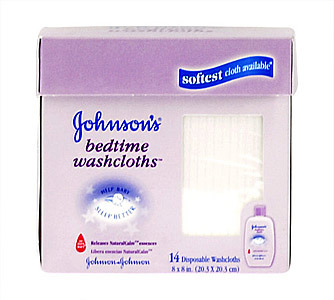 Johnson's bedtime washcloths. Softest cloth available. 14 disposable washcloths. Help Baby Sleep Better.